US Army MWR :: View Event :: Art & Hobby Shop: $10 Tuesdays! Art & Hobby Shop: $10 Tuesdays! Are you ready for $10 Tuesdays? 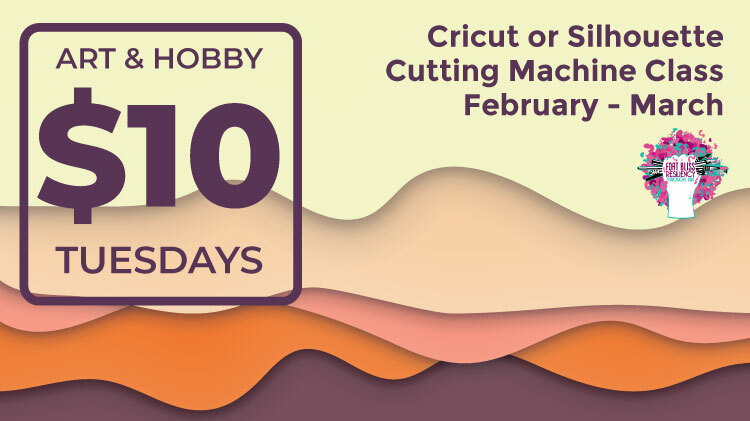 Join the Art & Hobby Shop every Tuesday in February and March for a cutting system class and learn how to use your Cricut or Silhouette Cutting Machine to thier full advantage! Bring your own machine or practice with, or see what ours has to offer.